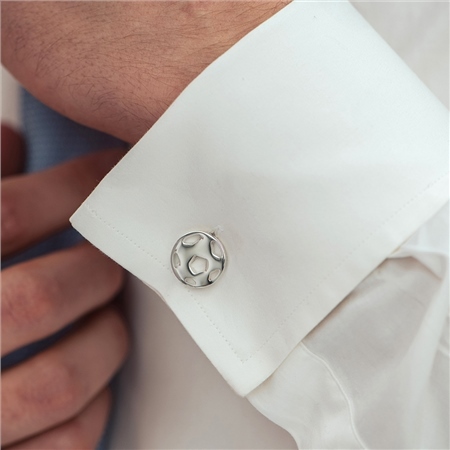 Affirm your personality when wearing these football cufflinks, ideal for the sports enthusiast adding a touch of novelty to any outfit. The perfect gift for all occasions. Silver plated Football cufflinks with a protective anti tarnish layer, presented in a Newbridge Silverware gift box. Product dimensions 14mm diameter.